Going Somewhere? 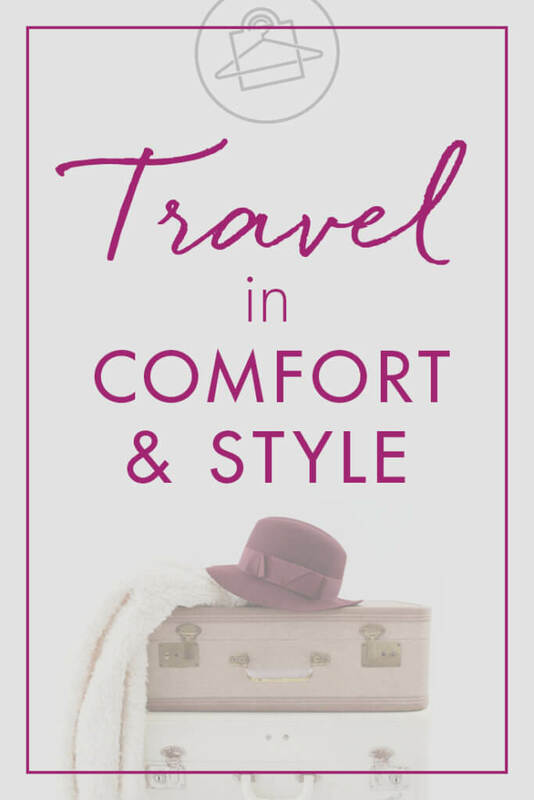 My Guide on How to Travel in Comfort & Style! With spring finally getting into full swing, travel season is upon us! One of my awesome clients (and RC Style Guide VIP members) is prepping for international travel and wanted to know what types of clothing I recommend for both long flights and suitcase living. 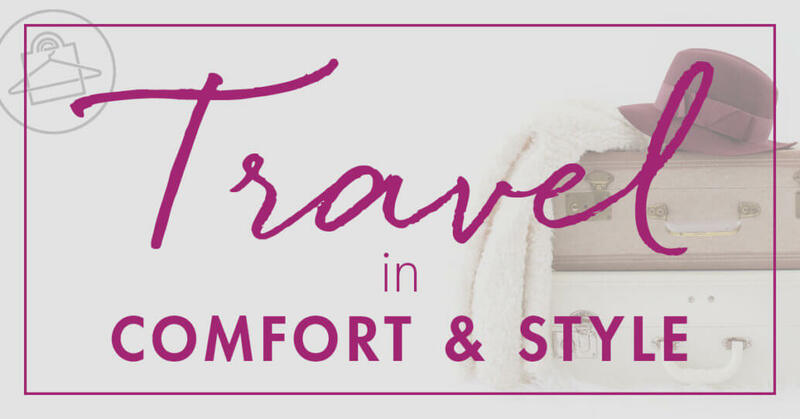 So today, I’m sharing my recommendations on how to travel in both comfort and style! Let’s get started! The pieces that I recommend are suitable for both traveling by plane, train, or automobile, as well as when you’re on the go and out enjoying your vacation. I’m breaking it down to you by clothing and accessories, and a bonus section on key that you should have in your suitcase and carry-on. And I'm sharing examples of every section, so be sure to scroll through for inspiration or to shop! The key to it all is packing a wardrobe that allows you to mix and match core areas. But another important aspect is having a packed wardrobe that you can layer. This is important because temperatures can sometimes shift up or down and you want the flexibility to add on or take off on demand. 😉 Now it’s up to you many of each item you want to take! Make careful consideration of your actual travel time, itinerary, and activities to determine which pieces to bring along. At the core of any travel wardrobe, you need some comfortable top, tees, and tanks. These are great to wear on their own with comfy pants, shorts, or skirts, or underneath a light jacket. Packing at least one light sweater is a must just in case things get a little chilly especially in the early morning or late evening hours. Light sweaters are perfect for layering, too! When possible, I recommend cashmere because it generates a gentle warmth, it’s so breathable and uber comfortable! Add some length, flow, and more comfort with a duster to go over your outfit or opt for a maxi dress. These are a great option for the travel portion of your trip and most settings on your vacation. The best part is that they're quick and simple to rock! I absolutely love sporting cropped pants, shorts, and jumpsuits when on vacay! The pants and shorts are a staple when wanting to remain comfy, whereas the jumpsuits serve up a little more dressiness, but are still very chic and comfortable. When traveling for business or pleasure especially to a new destination, you can easily get caught up in a busy itinerary of exploring and sightseeing, but it’s important to try and squeeze in some R&R every now and then. Enjoy your “me” time in comfortable loungewear while you soak in everything around you! Another great option for daytime wear (or for travel) is the shift dress. Look, when you’re on vacation, you ultimately want to be comfortable and a shift dress is a cute way to achieve that! Pair it with some flats or slides (see below) for an easy look. Coupled with that, I’d recommend also packing an LBD (Little Black Dress) for fun evening soirées – and if you want to continue the comfy vibe, go with a shift dress again. You’ll want to pack a light and/or denim jacket for all the same reasons as the light sweater above. 😉 Denim jackets are easy because you can pretty much layer them on top of anything! Okay, your shoe game needs to be very comfortable when you’re abroad because you’ll likely be doing a lot of exploring on foot. I recommend packing some stylish loafers, slide-on sneakers (I own this pair), sandals, or slides. A straw fedora because they can pretty much match anything and always looks cute! A durable leather travel bag because it can double as a flight carry-on and is handy for short trips within your trip! Eye Mask – I prefer complete darkness when I nap or sleep especially when I’m trying to do so when I’m en route, so I always pack an eye mask (cashmere ones are the best because they’re sooo luxurious and soft!). Eye masks also come in handy if you have a window-seat neighbor that leaves the window up when you prefer it to be down (we’ve all been there!). Ear Plugs – Yet another necessity especially for plane travel. Mute out all the noise with a high noise reduction rating. This is the most important item on this list, LOL. Wet Ones – If you’re a germaphobe like I am, this item is essential. It’s great for conveniently disinfecting your hands between washroom visits, but also useful for quickly wiping down tray tables, armrests, telephones – anything you want! Compression Socks – Long hours of plane travel can do a number on your feet in terms of swelling. When possible, opt to wear a pair of compression socks as they reduce the amount of blood that pools in your leg veins from sitting so long in that environment. You want to be able to rock your cute slides and sandals, right? Good Reading Material – Travel offers the best opportunity to catch up on your favorite books or magazines so indulge yourself and pack a few to get you through the trip! Portable Steamer – Garment steamers are an essential item for your home closet, but portable steamers are essential for your travel bag. Hotel rooms don’t always offer irons (or in some cases, they may be gross) so to ensure that you never look like a wrinkled mess, always bring along a portable steamer. They’re super easy to use and don't take a lot of space in your suitcase. Just remember to pack a power converter that you can plug it into from country to country. So there you go! Those are my top tips on what you should pack to travel in comfort and style! Do you have any go-to outfits or essentials that give you ultimate comfort? Post them in the comment section below! Thank you so much for sharing this post. My comfort is my priority but travelling in style sometimes can be a challenge. Jane, I agree! Comfort is key when traveling, but it’s nice that there are stylish options that allow you to do so. So happy that you enjoyed this post!